With a Buddhist tradition reaching back to the 6th century, Japanese artisans have been crafting statutes of the beloved deities of the spiritual following for almost 1500 years. 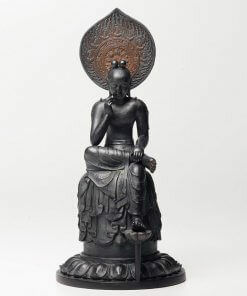 As the placement and appreciation of idols is a central feature of Buddhism, the country itself is covered with statues small and large. 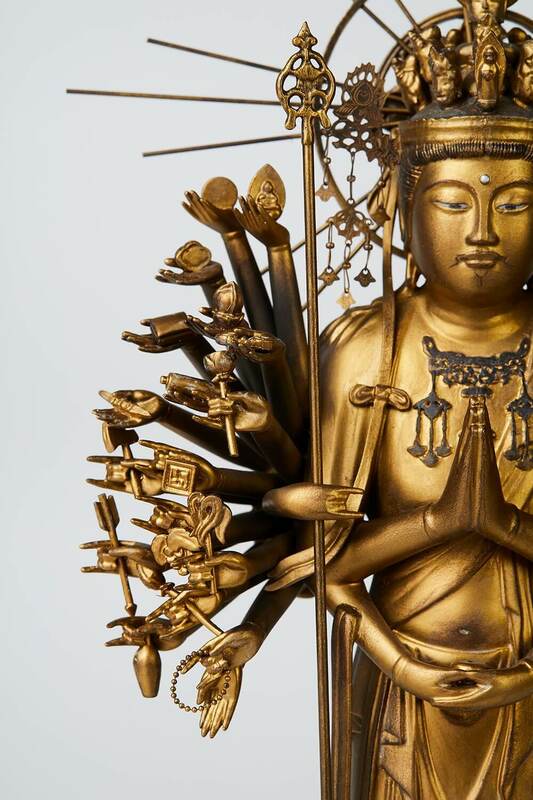 From the massive, contemplative Buddha of Kamakura and Nara, to the towering deities waiting on hillsides in Nagasaki, the next reminder of this ancient and historical relationship with Buddhism seems to always be just around the corner. You’ve certainly heard of them – you’ve maybe even been surprised to come across one yourself, perhaps unexpectedly while on your travels. 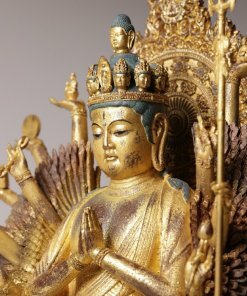 Of all the various figures from the spiritual tradition of Buddhism you might have come in contact with, however, there is one that has stuck with me since first laying eyes on it almost ten years ago. 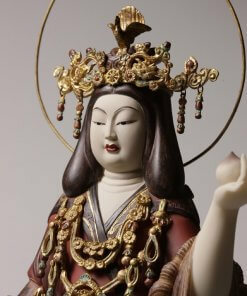 Today I want to take a closer look at the Buddhist symbol of ultimate mercy, Kannon, by studying its history in Japan as well as the artisans who today bring its beauty and spiritual calming to homes around the world. You might be asking: why? 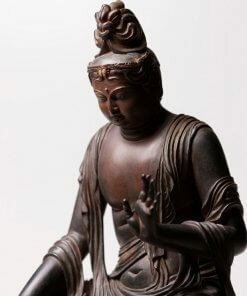 Well, the truth is that for the foreign traveller unfamiliar with the Buddhist tradition, the purpose and meaning of these statutes remains difficult to grasp. Very few of us grew up with these impressive idols around us. 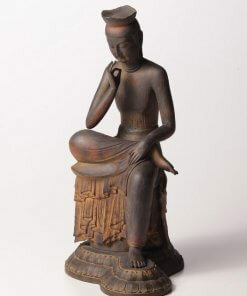 Even fewer of us had ever been to a temple before visiting Japan. 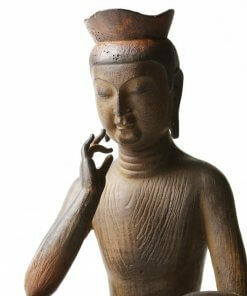 In fact, it wouldn’t be a stretch to say that very few of us have ever encountered Buddhism in real life. 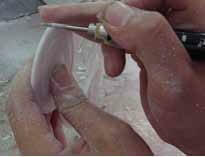 It remains a far off idea, read about in books but rarely experienced in the flesh. 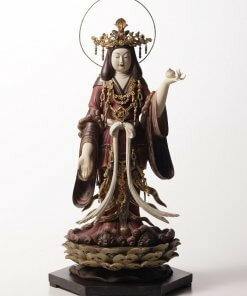 In my case, I didn’t know what the shape and number of limbs on a statute of the deity Kannon meant. As it turns out (perhaps unsurprisingly) there are deep and thought-provoking messages engrained within each of these figures. 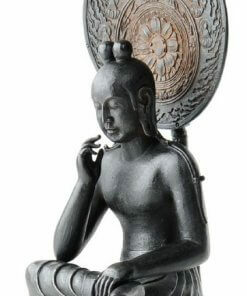 With the right bit of knowledge, you too can enjoy the profound message and peaceful moods statutes like this evoke. 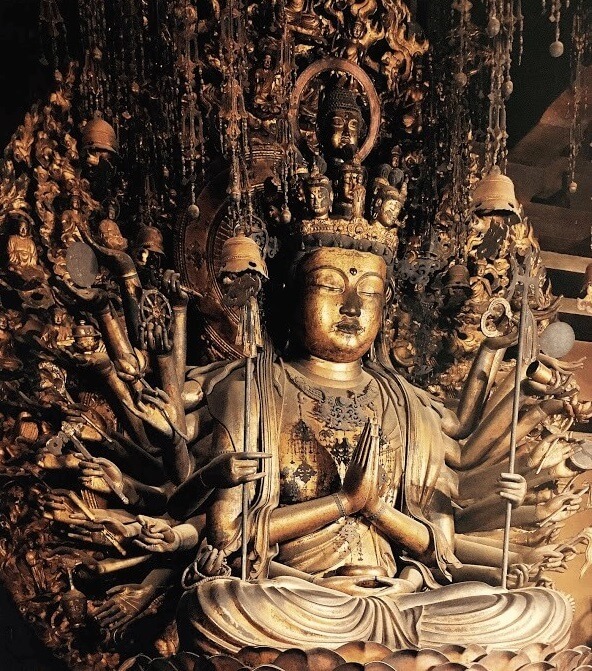 So let’s get caught up with the Buddhist world, learn about Kannon’s history, and gain an appreciation for the artists who are keeping this creative and spiritual tradition alive for future generations. 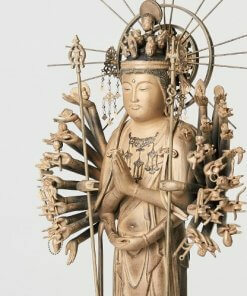 A designated National Treasure of Japan, the Thousand-Armed Kannon, represents the unrelenting compassion and care central to Buddhist practises. 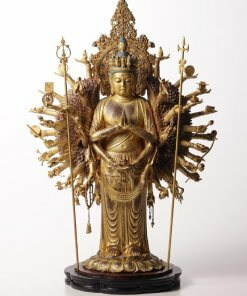 Said to in fact embody the compassion of all Buddhas, the Thousand- Armed Kannon is a caring deity that looks out for each of us in the day to day. 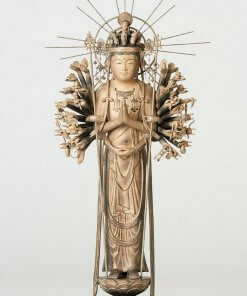 According to legend, Kannon’s desire to help the many people of the world proved to be so difficult that eleven heads were needed to hear the suffering. Meanwhile, 1000 arms were necessary to actually reach out and help. 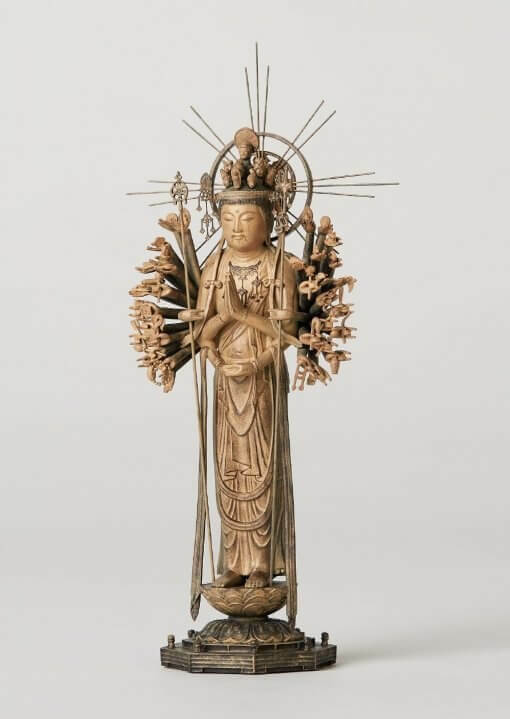 A symbol of Kannon’s unending compassion and desire to calm and guide the souls of the world, the Thousand-Armed Kannon appears in some of Japan’s oldest and most famous temples, including Kiyomizu-dera in Kyoto and Sensoji in Asakusa, Tokyo. 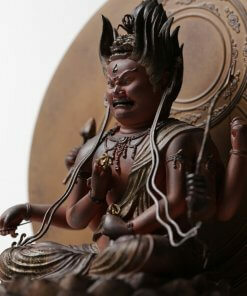 The home of Japan’s most impressive Thousand-Armed Kannon is the Sanjusangen-do temple in Kyoto. 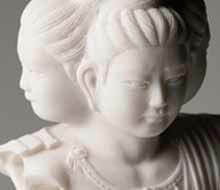 There, one thousand statutes stands in lines where the deity is enshrined. An impressive sight, I highly recommend a visit to anyone passing through the area. 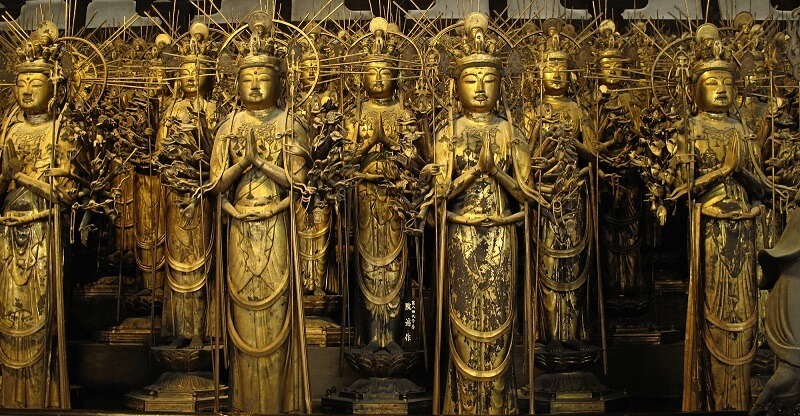 I visited there on my first ever trip to Japan almost ten years ago, and I will always remember the impressive beauty of the rows and rows of Kannon statutes glimmering with their deep metallic shades. 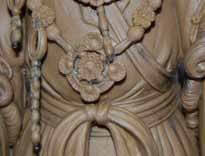 This beauty emanates from their carved bodies of cypress which was covered in gold leaf so many centuries ago. 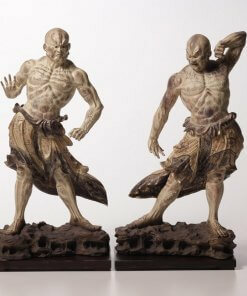 This beauty has aged naturally with the passing years, and the beauty of these figures is perhaps more impressive now than ever before. 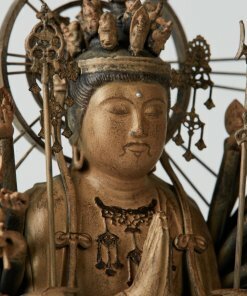 But of course not all of us can experience the calming beauty and profound imagery of the rows and rows of Kannon in Kyoto in person. 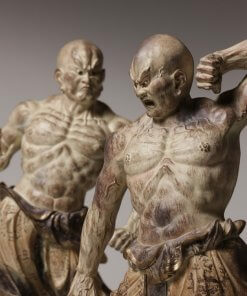 That’s where the experts at Isumu statues come in. 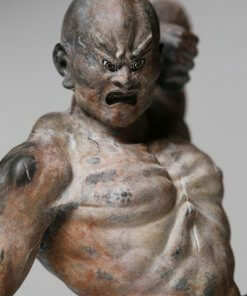 Isumu have been carefully crafting these traditional figures by hand for five years now, allowing people like you and me to enjoy this spiritual art at home. 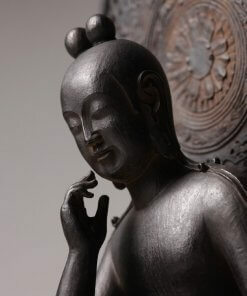 Creating – no, recreating this beauty is no easy task. 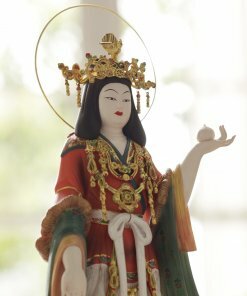 Let’s take a look at what goes on behind the scenes in the workshops producing the best models of Japan’s most compassionate idol. I was impressed to learn about each careful step taken by these artisans in producing their craft. 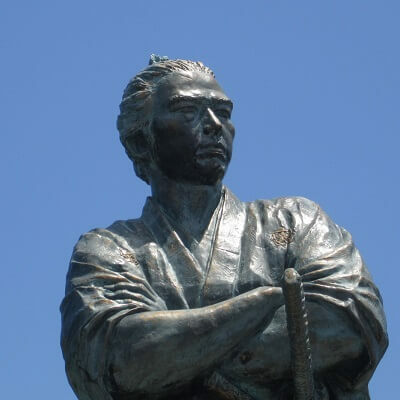 Made from a durable and life-like material called Polystone, these statutes resemble their timeless, real life counterparts – the ones I saw on my first ever visit to Kyoto. 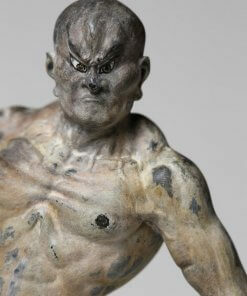 With this material, the weight and impact of the original creation comes to life, even in the miniature form. 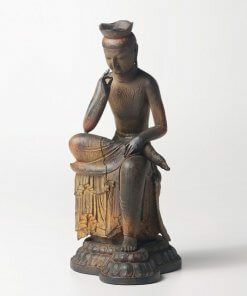 Before put to use, and original prototype is made to match the most famous and revered wood and stone statutes seen in person in Kyoto. 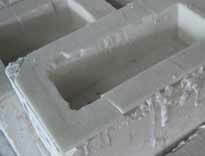 In a hand-made process taking anywhere from 2 to 5 months, an original, accurate scale model is made from which molds are cast. 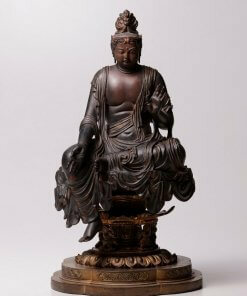 This authenticity – the closeness to the carefully studied original Kannon in Kyoto – is what allows Isumu sculptors to refer to their work as the “real deal.” With molds capable of producing only around 30 pieces before degrading, the many parts of each statue is carefully handled and finalized by hand. 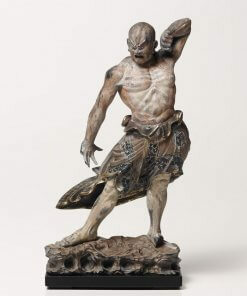 From there, they are cleaned and prepared before being assembled just as their larger, older, and untouchable counterparts in Kyoto were. 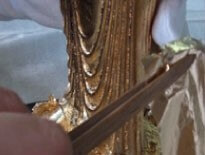 Most importantly, the natural age which has given the powerful statues in Kyoto and Nara their unparalleled beauty is painstakingly recreated by the artisans in the final stages of this process: After assembly, the colours and accents that so impressed me during those first days in Kyoto years ago are carefully added by the sculptor – entirely by hand, of course. 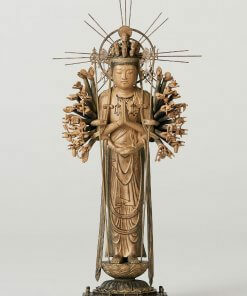 With the same gold cladding methods seen in Kyoto, the miniature Kannon is given all the care of Japan’s designate National Treasure. 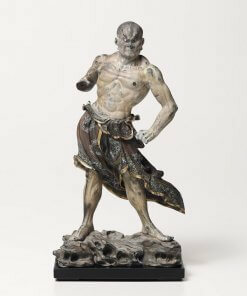 Realism and beauty – these are the aims of Isumu’s masterful recreations of Japan’s most famous and treasured Buddhist sculptures. There is simply no other way to experience this historic beauty at home. 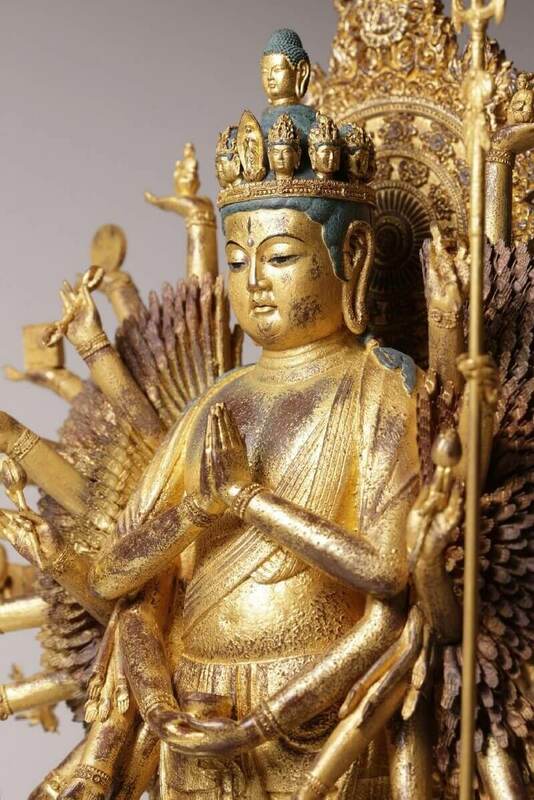 For this reason, the handmade sculptures of the Thousand-Armed Kannon are a valued object of ornamental art to be enjoyed by the entire family. 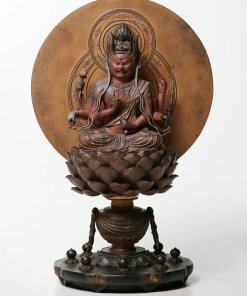 Adding one to a room is sure to take your mind back to the first time you saw or heard about Japan’s ancient Buddhist traditions, its glimmering statutes, and the timeless wooden temples which house them. 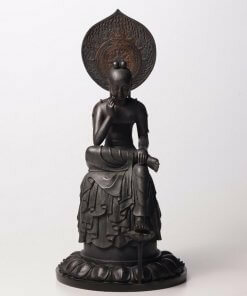 Moreover, knowing what we now do about the meaning and legacy of the compassionate Kannon, you will be able to enlighten friends and visitors about the beautiful work of art displayed in your home or office. 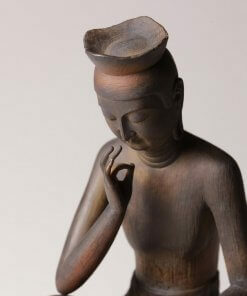 Take a piece of Japan’s more revered Buddhist treasure home with you, wherever you might be.